I have emailed twice through this support contact option and have no heard any response. I seem to have issues with anyone who uploads attachments, specifically word docs. I receive the error that is attached to this email. Please let me know how to correct this. I have already put an * in the extensions field to allow for any type of attachment to be uploaded. I am not sure if you are receiving this email, but if you do, please do directly reply to us. 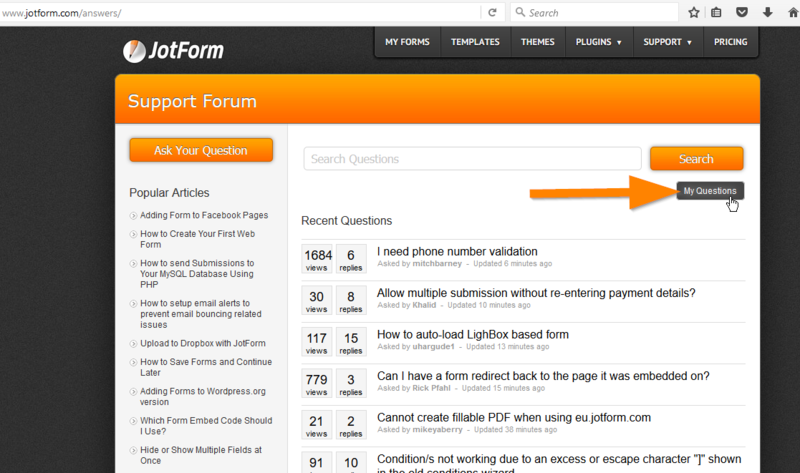 You should be able to view the list of threads you have opened here in the forum by clicking the "My Questions" button. I just checked your form and downloaded the file uploads on them, I'm unable to download and open it without any problems. Also, files are NOT attached in the email notifications, the email notifications just includes the download link for your file uploads. You can download them simply by visiting the download link on a web browser. It is possible that your MS Outlook is blocking the download links. It would help us a lot if you will reply to our posts so that we can better assist you.